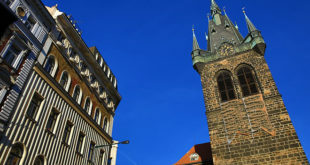 The Jewish quarter is a small area known as Josefov (named after the emperor Josef II, whose reforms helped to ease living conditions for the Jewish, the Jewish Quarter contains the remains of Prague’s former Jewish ghetto.) between the Old Town Square and the Vltava River. Here are two figures synonymous with this part of the city, Franz Kafka (1883 – 1924) and the mystical humunculus Golem created by Jehuda ben Bezalel, also known as Rabi Löw. Most of it can be walked around in a single day, but any detailed explorations needs time. The Jewish cemetery, Old-new Synagogue, Klausen Synagogue and the Pinkas Synagogue are definitely worthwhile sights. Be prepared for entrance admission to most of the sights ranging from 200 CZK or just buy 500 CZK for a ticket encompassing all the sights. The history of the area dates back to the 11th Century. The Jews of this time prospered and coexisted in relative peace with their neighbours, the crusades of the 11th century however were to bring a tidal wave of sorrow. While en route to the Holy Land, the crusaders massacred the Czech Jews and plundered their properties, those who survived were forcibly converted to Christianity. In this period, several significant changes were imposed on the remaining Jewish communities. Their synagogues were burned to the ground, their civil rights were severely limited and they were forced to build their community on the right bank of the Vltava only, thus limiting their movements and clearly identifying their minority group. This was the beginning of what later came to be known as the Jewish ghetto, an area which today is frequented by tourists. In 1254 the area was surrounded by a ghetto wall, following a decree of the third Lateran Council. The ghetto was a centre of learning, with its own Talmudic school and Hebrew printing press. Although Prague’s Jews were regularly subjected to discrimination and persecution, wealthy elders like Mayor Mordechai Maisel in the 16th century, won privileges for the ghetto by placing their wealth at the disposal of the imperial treasury. In 1784 Emperor Joseph II relaxed many restrictions, and in 1849 Josefov was incorporated into the city. Most of the ghetto slums were demolished at the end of the 19th century. After this, only a small part of the original ghetto remained – today’s Jewish Town – Josefov. Of the many atrocities committed upon the Jews over the centuries the Nazi era was to have the most devastating effect. 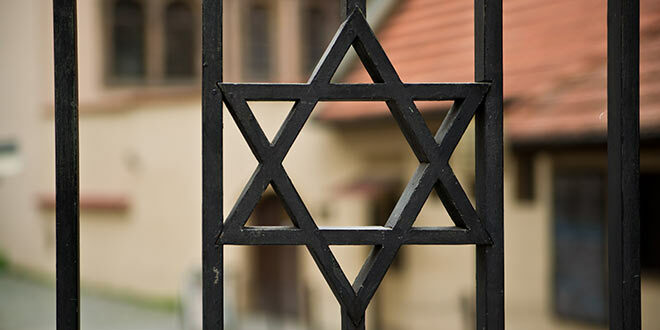 At this time there were an estimated 56,000 Jews residing in Prague alone. Only 10% of the country’s entire Jewish population would survive the German occupation. Most were sent to a prison camp in Terezin (60 km North West of Prague) which today stands as a memorial museum and is open to the public. Hitler planned a museum in Josefov recording the history of the ‘extinct’ Jewish race. Ironically, this ensured the preservation of treasures and furnishings confiscated from synagogues all over Bohemia and Moravia. The size of the Jewish community left in the Czech Republic and Prague today numbers only about 1,000. After having been one of the largest Jewish communities in Europe, they are now among the smallest. The history of the Czech Jews has been unique and tragic, leaving behind proof of their historical significance to this part of Europe. Since the collapse of Communism, the Synagogues of the old town seem to have been reawakened and new activity by the local Jewish community is growing. Several Jewish organisations have been formed, buildings renovated and kosher restaurants reopened. A sign, we hope, of the comeback of a people. There are seven synagogues – The remnants of the old settlement, the Jewish Town Hall and the Old Jewish cemetery, the most remarkable in Europe. All the major sights of Josefov are part of the Jewish Museum and covered by an all-in-one ticket, available from any of the quarter’s numerous ticket offices. Ticket costs 480 CZK including the Old-New Synagogue, or 300 CZK without. Tip: Don’t visit the Jewish museum and synagogues on the Sabbath (Saturday), when all interiors are closed. Tales, legends and other such mysteries have been woven round a good many places in Prague. One of the most interesting is about Golem. It is said that in the attic of the Old-New Synagogue, the Golem is hidden — a mighty being made of clay that was, according to legend, created by Rabbi Loew to protect the Jewish Town. 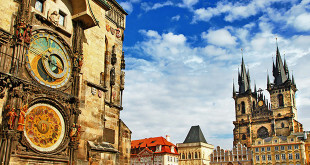 Golem is inextricably linked to the mysterious atmosphere of old Prague. If you want to learn more about this, join us for the Jewish Tour while visiting Prague. The Dinitz Kosher Restaurant is near to the Spanish Synagogue. This is very low-key and the most affordable kosher restaurant within the Jewish Quarter (Sundays to Thursdays 11:30 to 22:30, Fridays 11:30 to 14:30, 800czk Shabbat meals only via pre-paid reservation, at Bílkova 12). The more elaborate King Solomon Restaurant represents a better deal for Shabbat cuisine (at Siroká 8). Jerusalem Kosher Restaurant is an exclusive kosher L’mehadrin Dairy Restaurant in the old Jewish quarter of Prague, 100 m. from the Old-New Synagogue. Location: Brehova 5, 110 00 Prague 1.O Opening hours: 8 a.m. – 11 p.m.